We are doing this special offer of a two year old out of a private sale with our friends at Kenwood Racing, who bred this filly. This is a special opportunity and the price is special as well. We are only buying 5% of the filly (all we could get). And we are offering 1% shares to Club Members. 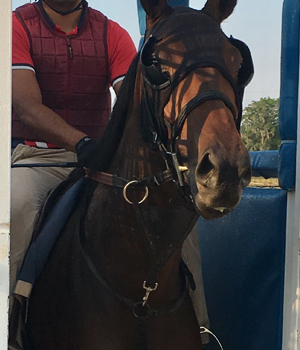 We are not charging any markup and we are not charging an admin fee for this horse. So if you are buying, check the button that this is NOT your FIRST CLUB horse, even if it is your first horse. This filly is by E Dubai, who after being the leading sire in the mid-Atlantic region (sire of 40+ stakes winners to date) was purchased by international buyers last year, out of a mare who won three stakes and earned over $240,000. 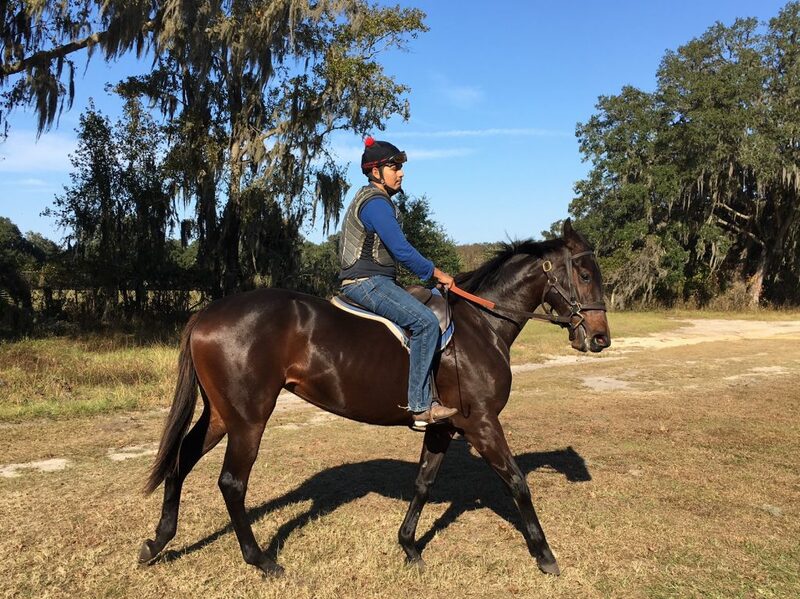 She’s really good looking and Adam Parker at T-Square Stud in Ocala where she is being broken loves her. Having bred the filly, we want to be transparent and fair in pricing her. If we sold her at OBS this spring (the same sales where we buy most of our two year olds) while there is a very wide range depending on how she works at the sale, she would probably bring $50,000 – $75,000+ based on her pedigree and confirmation, assuming a good but not spectacular workout time. (She’d bring a lot less with a terrible workout and a lot more with an outstanding one, but when determining fair value it’s logical to look past extremes in either direction). We’re pricing her at the bottom end of that range and Kenwood will be the largest shareholder in her because we really like her. Offering her in a group allows us to keep an interest and manage her career, so it’s a win-win for all (hopefully!). Obviously, there are no guarantees with any horse, particularly an un-raced one. She could literally be a champion or never win a race, but her pedigree, looks, etc. speak for themselves.